For as long as I can recall creation of anything fascinated me. Whether it was cooking, gardening, painting, sculpture, handmade or machine made. I remember sitting at our local store in the Bronx watching the milk cartons get filled on the conveyor belts. The process of having "parts" of a whole was just so much fun. It still is! I taught myself how to throw pottery for 27 years ago. I have been an artist for my entire life. As a mother of two great boys and a wife to my best friend I am always trying to find time to produce my work. When it is winter in New York and it snows I am always at the ready with a canvas and paint! 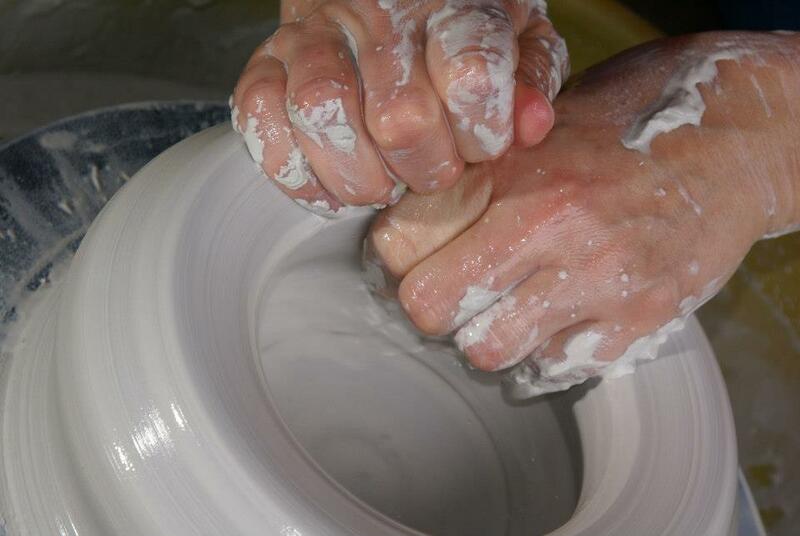 During the summer I am in my pottery studio creating work for the season of craft shows and custom orders. Please enjoy my gallery of artwork.